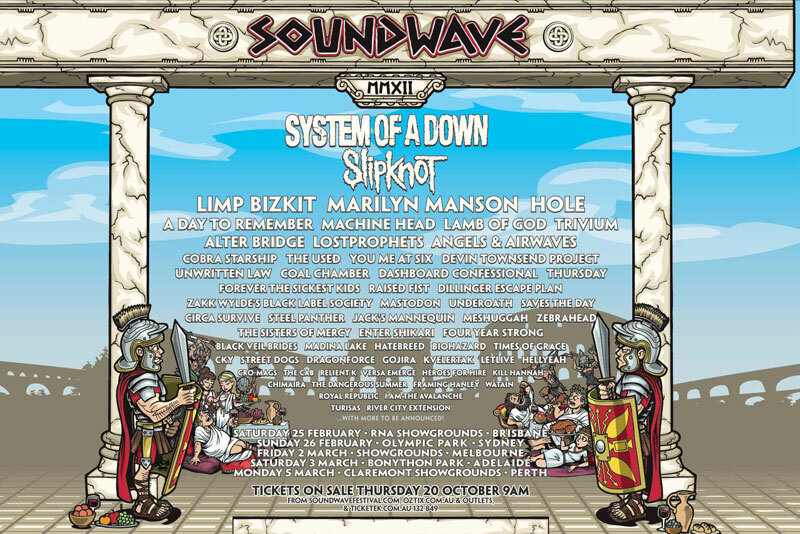 Soundwave 2012 AMAZING LINEUP ANNOUNCED! Featuring System of a Down and Slipknot! FAT AS BUTTER Festival Gets Fatter! Chris Cornell announces free gig at Rock Lily in Sydney! Big Day Out 2012 – Soundgarden and Kanye West will be the headliners! Eminem will announce new show in Australia!